There is no more cost-effective and versatile nutritional supplement in the average health food store than melatonin. First discovered by dermatology researchers at Yale University in 1958, melatonin was initially recognized for its skin lightening properties. Since then it has been shown to provide a wide range of health benefits from anti-oxidation and anti-aging to reducing blood pressure and improving cardiac function. 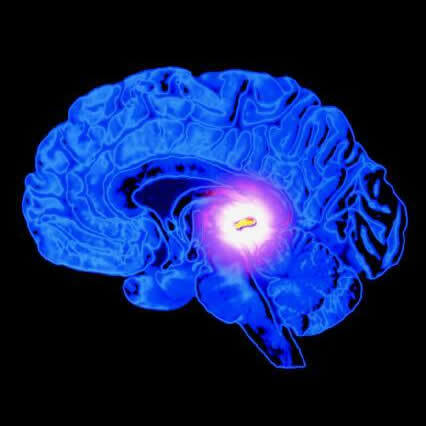 Typically, melatonin is produced by released from cells in the pineal gland as a normal part of the brain’s 24 hour sleep/wake cycle know as the circadian (circa-dia or “cycles of the day”) rhythm. 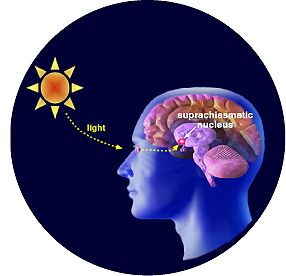 Production of melatonin is tied to cyclic patterns of daylight and nighttime sensed by the retina and communicated to the brain. When this cycle is disrupted as in jet lag or working the late shift, melatonin secretion may be negatively affected. Senior citizens are also at risk for low secretion of melatonin as a normal consequence of the aging process. The most common symptom of depressed melatonin secretion is insomnia. In the 1990’s this important biochemical became a popular sleep-aid supplement. Because its highest concentrations are secreted during the evening, a bedtime dose may allow patients to duplicate the melatonin levels that would be achieved under normal circumstances. It can also be used to improve sleep patterns after discontinuing the use of anti-anxiety medication. According to Dr. Russel Reiter in his bestselling book Melatonin, Your Body’s Natural Wonder Drug, as little as 10mg of melatonin can have “profound sleep-enhancing effects”. Melatonin acquired its moniker from its anti-pigmenting properties on the skin of frogs. Composed of the Latin terms for black (“mela-”) for black and “-tonin” for control, melatonin has unfortunately not been shown to have the same effects on humans. However, melatonin may still provide cutaneous benefits. Researchers at The University of Zurich have found that topically applied melatonin may help protect the skin from harmful UV rays if applied prior to sun exposure. Melatonin has also garnered a reputation among nutritional scientists as a potent anti-oxidant. Dr. Julio Ochoa of the institute of Nutrition and Food Technology calls melatonin “a potent free radical scavenger and broad spectrum antioxidant”. He also touts its benefits as an anti-inflammatory and considers it a viable candidate for decreasing oxidative stress associated with intense exercise. Because its levels typically decrease with age, melatonin has attracted attention as an anti-aging supplement. According to several studies done at the Virginia Commonwealth University and published in the book “The Miracle of Melatonin”, mice given melatonin demonstrated extensions in both average and maximum lifespan. And a Chinese study published in the Annals of the New York Academy of Sciences found that patients given melatonin exhibited reversal of damage associated with age-related macular degeneration. And, as they say on the commercial, that’s not all! A Harvard study published in the January 20, 2004 issue of the journal “Hypertension” showed that taking melatonin for 21 days lowered blood pressure among 16 men with untreated high blood pressure. It is thought that melatonin’s natural effects on improving the circadian cycle accounts for its anti-hypertensive effects. Also, because some blood pressure drugs may have a depressant effect on melatonin levels hypertensive patients on pharmaceuticals may want to consider adding a melatonin supplement to their medication regimen. In 1994, German scientists curious about melatonin’s effects on the heart found that melatonin blocked the formation of cholesterol by up to 38%. LDL accumulations were shown to decrease by up to 42%. And in the B-Oval contraceptive study, conducted on 1400 women, and which included a melatonin supplement, it was found that participants had “significantly lower” cholesterol levels than they had before starting the study. Melatonin is readily available in health food stores in tablets and capsules. I like the sublingual form which dissolves under the tongue. A good starting dose is 3 mg at bedtime, although some people can take as much as 15mg a night with no residual morning grogginess, which is the only potential side effect of note. And at less than 10 cents for a 3 mg tablet, it’s an incredibly economical way to achieve numerous health benefits.